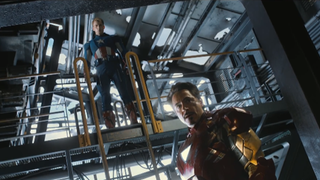 This weekend, filming began in Seoul for The Avengers: Age of Ultron. Mapo Bridge was closed to traffic for the production. Below the bridge, a body was discovered floating in the water. Mapo Bridge is an infamous suicide spot in Seoul. As Real Time Korea reports, the government even installed anti-suicide LED lighting to draw attention as well as slogans on the bridge, such a "The most shining moment of your life has yet to come" or "Your worries will feel like nothing when you get older." The renovations did little to deter suicides, with the number of attempted suicides actually increasing. If you ever contemplate suicide, please know that there are those at organizations like Suicide.org who are ready to listen and help.